Not only are numerous health advantages offered by these little wonders (including anti-cancer benefits, antioxidant benefits, and immune system support), but organic crimini mushrooms taste great too. Crimini mushrooms are juvenile portabellas (aka portobellos) which have a deeper, denser, earthier flavour than White mushrooms and are the perfect addition to a delicious meal. This product traveled 38 km to reach our warehouse. Storage Tip: Keep mushrooms in a vented paper bag in the fridge. Enoki mushrooms will last only a few days, while white, oyster, crimini and boletes stay fresh for up to a week. Shiitake and portobello last up to 2 weeks. 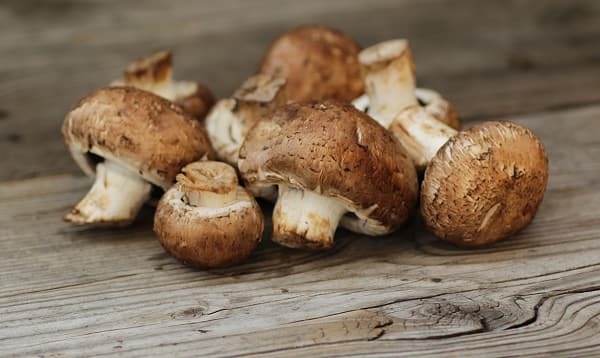 Preparation Tip: Mushrooms soak up water which dilutes flavour and destroys nutrients, so to clean, wipe mushrooms with a damp paper towel or mushroom brush. Mushrooms should always be eaten cooked. The mycochitin composition of mushroom cell walls, as opposed to cellulose walls of plant cells, is more difficult for humans to digest. Our stomachs resent indigestible items, and often forcibly reject them without further ado. The cooking process helps break down fungal cell walls, rendering mushroom flesh not only more readily digestible, but also releasing significant nutritional value contained within the cells. Did you know... Approximately 38000 varieties of mushrooms exist. Culinary Compatibility: Butter, olive oil, sesame oil, nut oils, creme fraiche, sour cream, goat cheese. Gorgonzola, stilton, boursin or blue cheese. Garlic, chives, wine, fresh herbs and pine nuts. Health Information: Mushrooms are low in calories and are fat free. They are a good source of pantothenic acid and iron, potassium, zinc, niacin, folate, and selenium. All Seasons Mushrooms Inc. is a vertically integrated, state-of-the-art mushroom producer and marketer, with two facilities in British Columbia (Langley & Abbotsford) and one facility in Alberta. The facilities in B.C. are Certified Organic. Their market is predominantly Western Canada and to a lesser degree the western United States. All Seasons Mushrooms wishes to distinguish themselves by providing our customers products of distinguishably superior quality, that are locally grown and Certified Organic.